Infiniti Q30 Boot Space, Size, Seats | What Car? 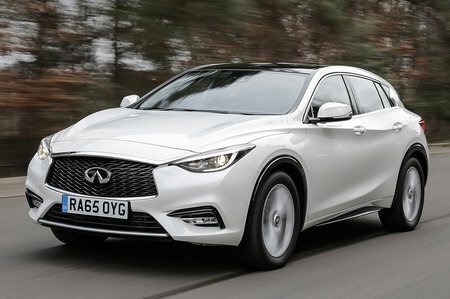 The Q30's front passengers have little to complain about. There's lots of leg room if they need it, and even the very tall won't find their hair brushing against the roof. There's less good news in the back. 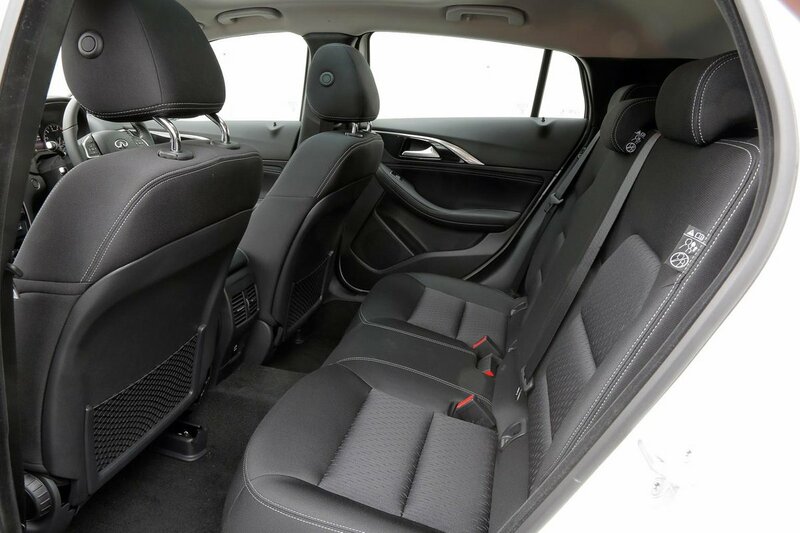 Even average-sized adults will find their knees pressed in to the back of the front seats, and the rising rear window line is a little claustrophobic. Taller passengers will also find the roof above the window very close to the side of their head. To sit three adults side-by-side is uncomfortable, and the middle passenger has a raised seating position and central tunnel to contend with. The Q30's boot is more impressive. At 368 litres, it holds its own versus the main competition for overall size, and its square shape means there are no awkward side walls to consider. Access is okay, too, apart from a sizeable drop to the boot floor inside. 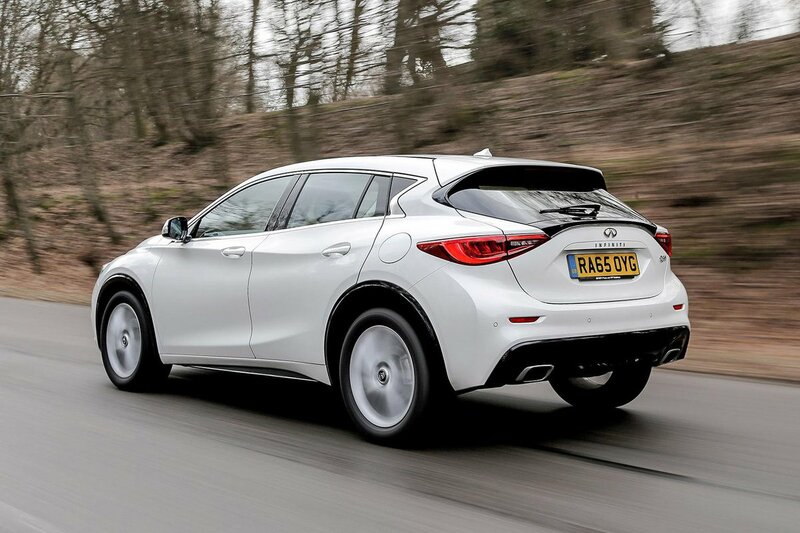 All Q30s come with 60/40 splitting rear seats, but without a dual-height boot floor that many rivals have, the folded seats backs leave a step in the extended load area. Rather than easily sliding long items along the floor, this means you’re forced to lift them up and over this ridge.